Orcs have enslaved the human race. You are one of the more fortunate ones, still free to roam Myrtana. Freedom affords you the option to stay true to the throne of the deposed human king, serve the Orcish usurpers, or carve your own path. Every decision made will have an impact on the fate of humanity and the balance of power. The choice is yours to make and will influence all those living in the shadow of the Orcs. Gothic 3 is as non-linear as an RPG can get without losing a sense of purpose. Its huge, living world holds many treasures, breathtaking locations, and dark secrets. It is a giant playground in which you have total freedom. Gothic 3 suffered from a rocky start due to some bugs initially after launch. This version of the game, however, is patched and updated and offers a vastly smoother experience that makes it much easier for you to get drawn into the engaging world and its many plots. Vast, open world to explore, much bigger than in the series’ previous installments. Non-linear story and sandbox-type gameplay create a really powerful feeling of freedom. Atmospheric music and beautiful graphics work together to create many breathtaking scenes. Windows XP, 2.0 GHz Processor, 512MB RAM, NVidia or ATI/AMD 3D graphics card compatible with DirectX 9.0c and 128MB, Mouse, Keyboard. Windows XP/Vista/7, 3.0 GHz Processor, 2GB RAM, NVidia or ATI/AMD 3D graphics card compatible with DirectX 9.0c and 256MB, Mouse, Keyboard. Orcs have enslaved the human race. You are one of the more fortunate ones, still free to roam Myrtana. Freedom affords you the option to stay true to the throne of the deposed human king, serve the Orcish usurpers, or carve your own path. Every decision made will have an impact on the fate of humanity and the balance of power. Doesn’t work, please update link if you can. I am using qBitTorrent and it just loads and loads forever. I tried a lot of other games and they all worked fine. it did not work this morning. Is this patched? I mean it has DLC with it? I don’t know if Gothic 3 has DLC. I just want to know. Is this patched? Is this patched? I mean it has DLC with it? I don’t know if Gothic 3 has DLC. I just want to know. Is this patched? What’s the game version? wat about gothic 4 arcania?? *** WORKS PERFECT *** on my Windows 10 64-bit. Thankyou for the upload. is with the latest community patch ? does this include the community patch or is this just the vanilla game? 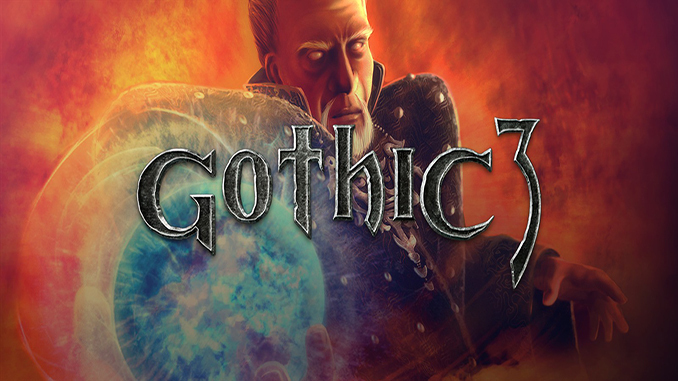 Have you installed the Gothic_3_Community_Patch_v1.74_Int_Full.exe if not please do. Please just use the Gothic_3_Community_Patch_v1.74_Int_Full.exe it is included on the download link we provided to fix the keyboard problem. Will I be able to download mods?